Enter The Parrot | Kiki Fu ~ Cute, But Deadly. On the surface, Jade fits in perfectly. But just below the surface lurks the fragrance of ginger, ginseng, and a secret kung fu society. When her crazy grandpa’s deluded parrot goes missing, Jade must dive deep into the seedy underbelly of Chinatown to find him, keeping secrets from her best friends and her cute eco- mentor, Cedric: aka the hottest guy in school. She’ll need her wits about her to solve the riddle, especially when more than one bird goes missing. Could TF, the hot Chinese guy with the washboard abs, hold the key to the mystery? One girl. One parrot. One ancient kung fu mystery. What a cute site! You’re book sounds funny! Love your book, Kiki! Congrats on the awesome Booklist review. This book is going to do so great! Congrats on your fabulous review, Kiki! Your blog, “Enter The Parrot � Kiki Fu ~ Cute, But Deadly. ” was in fact well worth writing a comment on! 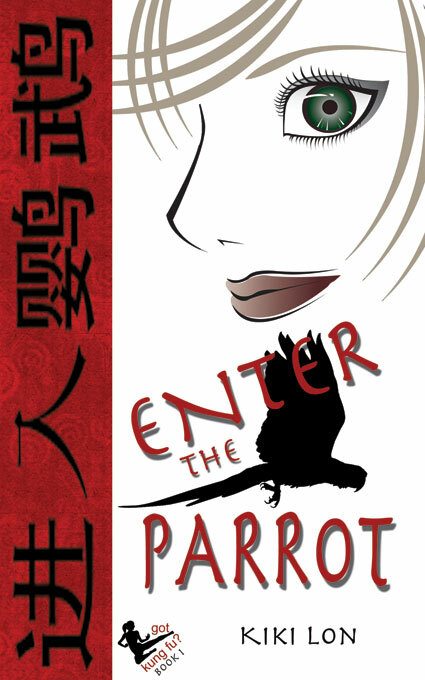 “Enter The Parrot | Kiki Fu ~ Cute, But Deadly. ” publicamp was in fact a pretty wonderful article, .